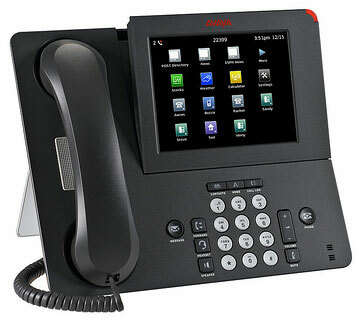 The Avaya 9670G IP Telephone is the world’s first media phone for enterprises. A media phone is a cross between a telephone and PC, allowing direct access to applications and Internet-based information through a large color touchscreen with a high-quality speakerphone. Similar in concept and use to popular mobile devices, the Avaya one-X® Deskphone 9670G boasts a large, color home screen that provides one-touch access to people, information and tools. Applications embedded in the device give users useful options when the phone is idle, such as access to maps, a full QWERTY keyboard, weather conditions, calculator, and more. New applications can also be downloaded.